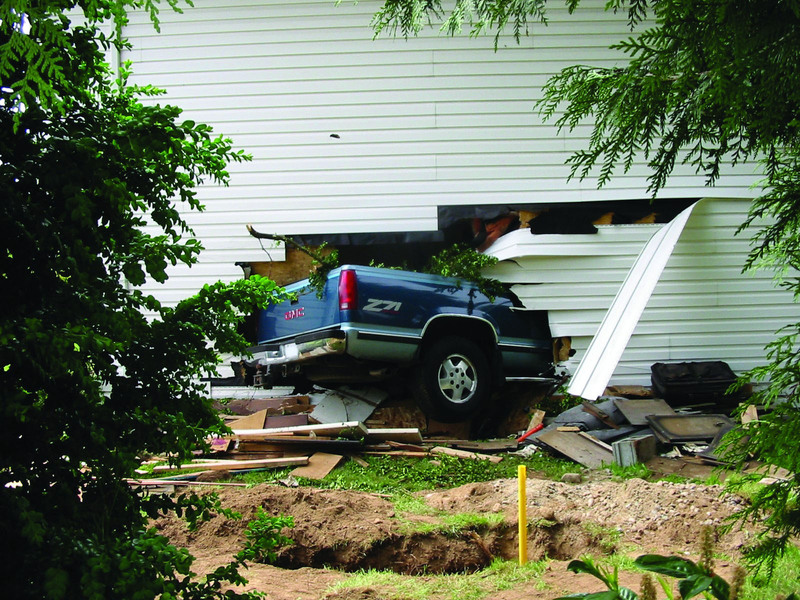 An out of control SUV rams into a home built with Quad-Lock Insulated Concrete Forms (ICF). The super strong Quad-Lock walls literally "bounced that Explorer off like a little toy" remarked the homeowner. Scroll down for a detailed video report. Special Thanks to The Heacocks for their contribution!